Mix all the marinade ingredients together and then rub into the pork. Leave to marinate for 1.5 hours in the fridge. Soak the wooden skewers in water for several minutes to prevent them from burning. Mix the ribboned cucumber with salt and leave to drain in a sieve for around 15 minutes. Then mix together with the other Tzatziki ingredients. 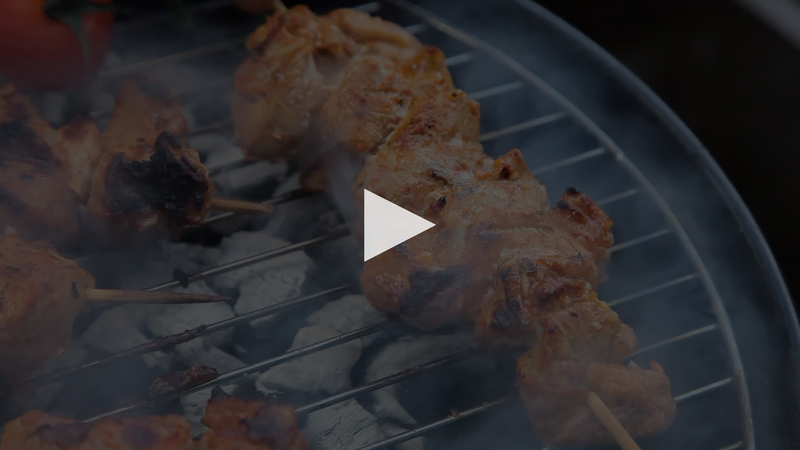 Thread the pork onto the wooden skewers and grill or BBQ for 5-8 minutes on each side until the juices run clear, or until thoroughly cooked through. Serve your skewers with the warm flatbreads, Tzatziki and salad.